Okay, they are totes adorbs. The ponies and the kids. But the pony years also come with their drawbacks. 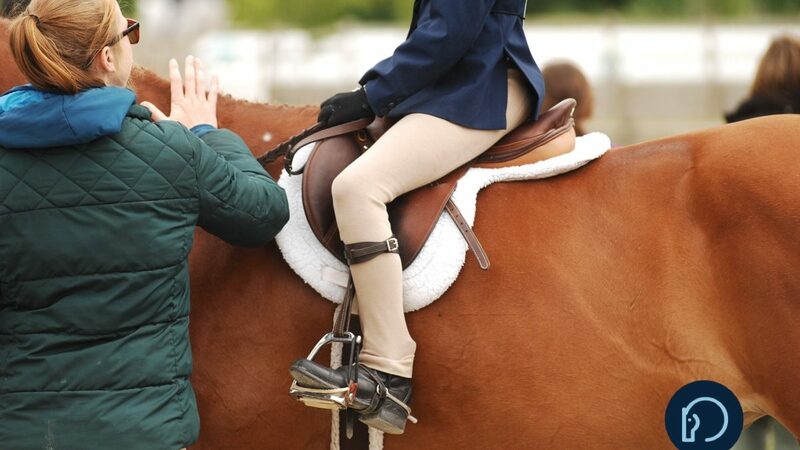 Here’s why having a junior rider is soooo much better. 1. A serious reduction in tears. Yup, waterworks still happen, particularly around finals time, but it’s not every time the pony adds a stride or misses a change. 2. At least when you pay a minor fortune for your animal it’s full sized. Have you ever tried explaining to friends that you spent a #!&@-ton of money on a animal that only comes up to your chest? Worth his weight in gold. Literally. 3. No more trying to get those damn gray ponies clean. Somehow a freakishly large number of ponies are a shade of gray and they just love to lie in manure. Good-bye hair-bow trunk. Good-bye picking the right bows. Good-bye bow superstitions. Good-bye bow everything. 5. No more explaining to your relatives that your daughter isn’t riding a baby horse. 6. When you sell your horse and buy another, you can still use their tack and blankets. You sell the small to move up to the mediums and are stuck with all the pony’s clothes. 62″ blanket, anyone? Kim Ablon Whitney showed ponies a really long time ago. Her book Blue Ribbons is all about the pony divisions.